Showcase your business signs and logos with an original warehouse shade that strives to capture the attention of passersby. These sign lights are luminous with a domed shade over a 150-watt bulb - and the aluminum gooseneck curvature is equipped with a mounting plate for your every hanging need. The exterior and interior of each original warehouse shade is powder-coated for resilience and resistance against rusting, cracking, peeling, and discoloration. There are also over a dozen options available when it comes to color finishes. And the interior powder-coating (unless otherwise specified) will wind up matching the exterior tone - creating an entirely personalized sign light for your company. 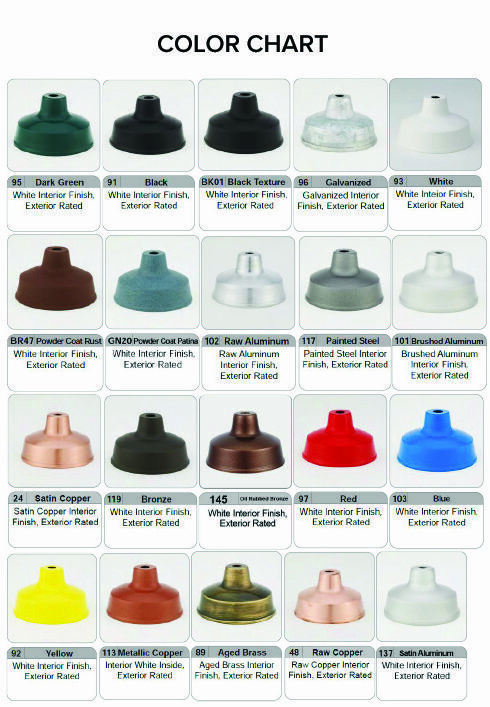 Contact us for additional lamping and finish options.